Boilers have an average cost between $2,500 and $4,000 for mid-efficiency units, and between $5,000 and $10,000 for high-efficiency units, including installation costs. Furnaces have an average cost between $2,000 and $3,500 including labor costs. 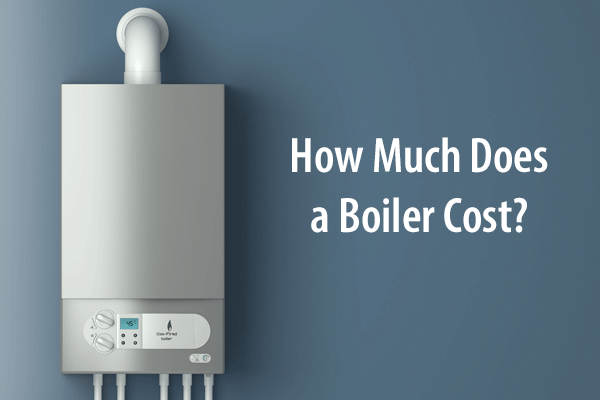 The cost of a boiler depends on the type of boiler you choose and the difficulty of the installation or replacement. Combination boilers, often referred to as combis, do not include a storage tank. Rather, they take water directly from water mains, but small tanks can be added. The average cost for a combination boiler is around $1,300. System boilers, also known as sealed-system boilers, store water in a cylinder where it is heated before it is sent to taps. They keep the water pressurized, which means there is little drop in water pressure when multiple taps are going at once. System boilers have an average cost of $1,500. Standard or conventional boilers heat water rapidly in the pipes that run through the tank to send out hot water. The average cost of a standard boiler is $3,500. Note that these costs do not include labor fees, but that many companies include installation in their prices. Just as with boilers, furnace costs depend largely on the brand and type of furnace, as well as the difficulty of installation. Electric furnaces are more common in areas with milder winters. For a 1,500 square foot home that seldom experiences temperatures below freezing, an electric furnace has an average cost between $665 and $1,950. It is important to note, however, that premium brands tend to have higher prices. Gas furnaces are the most common, especially in areas with harsher winters. The average home needs an 80,000 BTU (British thermal unit) furnace with a three-ton blower, which has an average cost between $1,215 and $2,370. Converting from natural gas to propane is possible for an additional cost. Conversion kits that allow replacing burners, gas valves, and/or jets have an average cost between $25 and $100. Oil furnaces have been in use longer than electric or gas and are most often found in areas where oil is readily available. An oil furnace for a standard size home would need a 275-gallon tank, with an average cost between $1,800 and $5,800. These costs do not include labor fees. Boilers come with both advantages and disadvantages. Which outweighs the other depends primarily on your specific home and needs. Air quality: Because boilers do not blow air, they do not spread allergens, dust, or dry out the air in the home. Consistent heat: Boilers typically offer more consistent heat than furnaces, constantly providing an even level of heat throughout the home. Energy efficiency: Less fuel is required to heat the home when you have a boiler, which means lower energy costs. Low-maintenance: There are fewer parts to worry about with boilers, such as no filters that need cleaning. Low-noise operation: Unlike furnaces, boilers do not come with the sound of hot air blowing. Conversion: Switching to a boiler heating system from a furnace heating system or vice versa is nearly impossible. It requires changes in ductwork that drive up costs exponentially. Installation: Boilers require more intensive installation than furnaces and are almost always more difficult to put in. Leaks: A boiler can leak and pose a major hazard to your home. Water damage can cost thousands of dollars in repairs. Slow reaction times: In comparison to furnaces, boilers take more time to adjust to thermostat changes, which means it takes longer for you to feel the temperature change. Just like boilers, furnaces come with their own set of benefits and drawbacks. 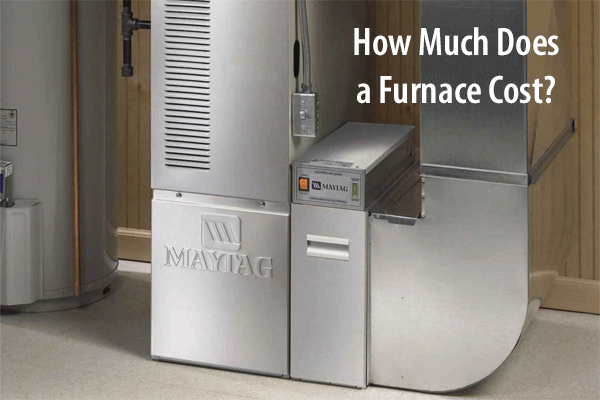 Cost: Furnaces are far more common than boilers, which leads to lower costs. It is not uncommon to find a furnace for as little as half the cost of a boiler. Installation: Installing a furnace takes only a few hours, while boilers can take a full day or more to install. Low leak hazards: While it is possible for a furnace to have a leak, they leak air, which does far less damage than a water leak. No freezing risk: Furnaces have no water in them, meaning that there is no danger of the system freezing in the event of extreme weather or a power outage. Air quality: Because furnaces blow air, they also blow allergens and dust around the home. Furnaces also dry out the air in a way that boilers do not. Less efficient: Heating with air is not as energy efficient as heating with water, leading to increased fuels consumption. Noise: Furnaces work by blowing hot air, which produces a sound. You will hear it every time the furnace turns on. Reduced consistency: Forced air does not provide the same heating consistency as hot water or steam, resulting in an uneven heating around the home. A big part of the energy efficiency offered by your boiler or furnace is determined by the age of the unit. While systems today offer as much as 98.5 percent efficiency, older systems only offer between 56 and 70 percent. Higher energy efficiency percentages means that more of the fuel you buy goes towards heating your home, which in turn means lower costs and emissions. Be sure to look into the energy efficiency rating of any prospective systems, but also to ask the dealer about any other energy information you should know.